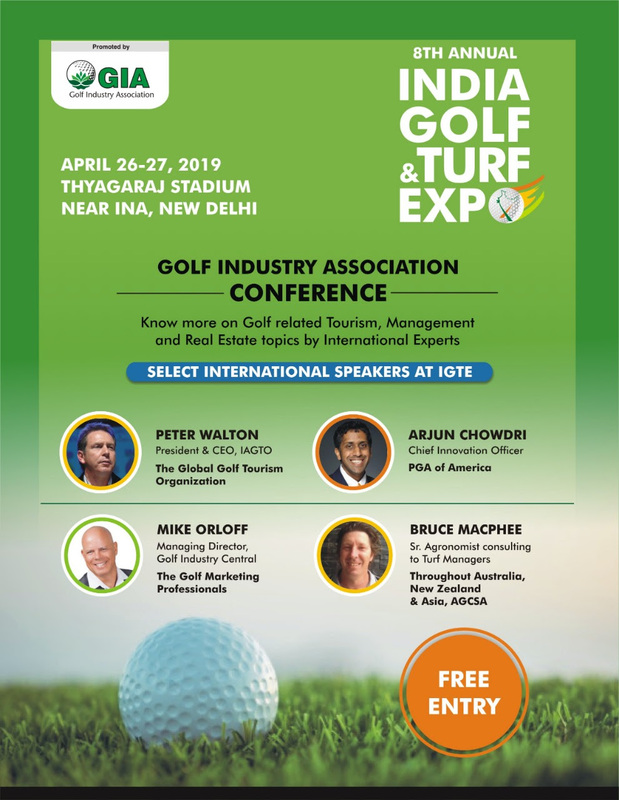 Organized by the Golf Industry Association (GIA), India Golf Expo brings together India’s golfing fraternity of India and experts from around the world with the intent to share knowledge, experiences and chart the course for the future of golf in the country. 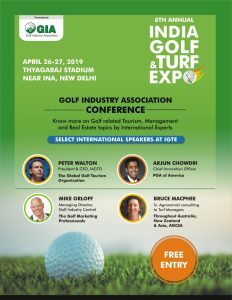 The Expo aims to bring focus on the rapidly growing potential of the Indian golf industry and creating more opportunities for the growth of the sport in the country. 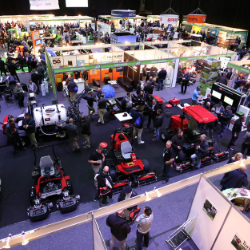 During the show, one can not only interact with the fraternity’s leading decision makers, but also meet golf course superintendents and gain insights into the industry. Further, one can explore new partnerships, promote new products, enhance brand building, and also improve one’s golf skills by communicating with fellow enthusiasts! The inaugural World Amateur MatchPlay Championship is a tournament unlike any other and set to bring a unique spin to global amateur golf. The World Amateur MatchPlay Championship is scheduled to tee off from the 12th to the 17th May 2019 hosted at the beautiful Sun City, South Africa. The event organisers Flagship Events are excited to introduce their 12th world golf amateur championship to South Africa and the rest of the world. A total prize purse of ZAR 300 000 is up for grabs as well as a Luxury Hole-in-One Car. 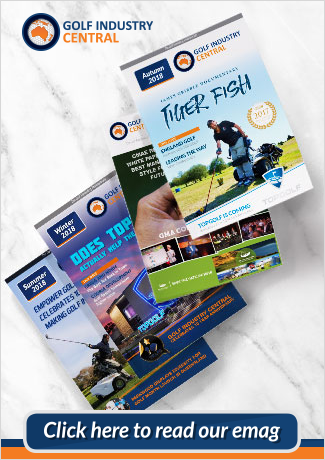 The British Golf Show is at Wycombe Air Park, Marlow, Buckinghamshire SL7 3DP, on 17th – 18th May 2019. Working alongside golf retailer Custom Lab Golf, Callaway and Cobra will be offering visitors the chance to test their 2019 product ranges by bringing their Demo Day teams. And there will be a host of other demonstrations by golf brands at the highly interactive exhibition, which is co-located alongside the well-established ‘Elite Events – London’ (pictured) combined lifestyle show. The British Golf Show offers free entry to golfers and their families, as well as free entry to the co-located Elite Events – London. Show organisers are promising a unique experience for all visitors. “Instead, the British Golf Show offers a fascinating free day out, away from the golf course, at an interesting airfield location. Furthermore, the event location enables us to deliver additional unique experiences for all to enjoy, offering much added value to our visitors”. See www.britishgolfshow.co.uk for all information for both visitors and potential exhibitors. The 11th IAGTO North America Golf Tourism Convention will take place in Texas Lake & Hill Country at the Horseshoe Bay Resort from 23-26 June 2019. Over 140 golf tour operators from some 35 countries, all selling North America, will attend the Convention. So if developing your domestic or international golf visitor business is important, then this event is not to be missed. The Convention is open only to golf resorts, golf clubs, hotels, ground handlers and other golf tourism suppliers from the USA, Canada, Mexico, Latin America and the Caribbean. Suppliers have the opportunity to introduce themselves to all buyers during 2 hours of speed-dating, followed by up to 38 pre-scheduled appointments of 15 minutes duration over two days with selected tour operators. The networking-social functions include a Welcome Reception, Farewell Dinner and a Golf Tournament over two of Horseshoe Bay’s amazing golf courses. Each year, Golf Course Superintendents and their teams join hundreds of Sportsturf professionals, greenkeeping staff, Curators and Turf Maintenance personnel who attend the variety of Turf Management, Environment and Biodiversitry and Management education seminars from leading Australian and International presenters, and visit the trade show to browse, question and hear from representatives across all elements of Sportsturf Management. The Full 2019 Program, Registrations and Exhibition Prosectus will be available to non-Members from 2nd November via the link below. Sessions will cover council challenges of managing sports grounds and wickets and the transition from cricket to football; diseases on grasses; and a Cricket Corner run by a panel of Curators and more. Following the success of the inaugural PGA Golf Expo in 2017, the PGA is pleased to announce the dates and venue for the 2019 PGA Golf Expo. The 2019 PGA Golf Expo will be held at the magnificent RACV Royal Pines Resort in Queensland from 3-5 September and will once more bring both PGA Members and the wider industry together to learn, engage and entertain. The Expo will again be held over three days, including sessions focussed on Coaching, Game Development, Small Business and Management, in addition to an exhibition area and indoor and outdoor presentations. Formal feedback from PGA Member delegates who attended the 2017 PGA Golf Expo was overwhelmingly positive, with a rating of 4.58 out of 5 for overall Expo experience and 4.45 out of 5 for value of education. The 2019 PGA Golf Expo will look to build upon the success of the 2017 event, while making every effort to incorporate the feedback provided by both PGA Member delegates, Expo exhibitors and other stakeholders. I encourage all PGA Members to plan for attendance and where applicable discuss attendance as a component of an overall continuing education plan and budget with your employer, golf club or facility. Further information about the 2019 PGA Golf Expo will be released in the coming months including keynote presenters, opening of registrations, Expo schedule and Expo exhibitors. We look forward to providing you with updates on a regular basis in relation to your Association’s premier continuing education and networking event.